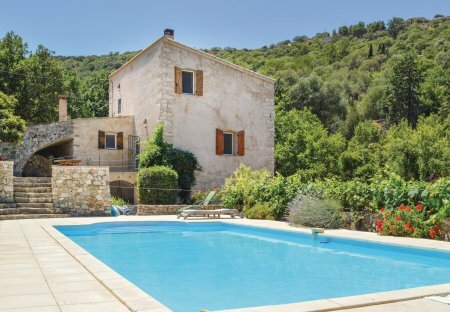 Rent villas in Ville-di-Paraso, Corsica with private pools. This pretty little holiday home with private pool awaits you on the land of the owner, 15km away from Ile Rousse. Ideal for a quiet family holiday. This four bedroom holiday home is a 19th Century flour mill that has now been thoughtfully transformed into a charming holiday home. It boasts a rustic décor complete with original features.